I'd be so happy if some of you would follow Vilda on Facebook, Twitter, Instagram or head over to vildamagazine.com to sign up for the newsletter. 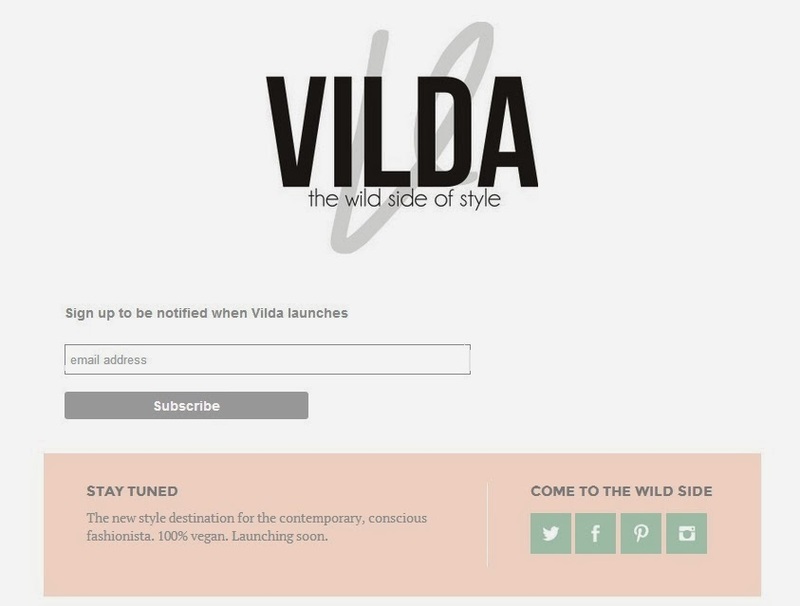 You'll be notified when Vilda launches and then updated with news, stories and general awesomeness! It's exciting and somewhat incredible to watch this project unfold. I can still recall when it was just an idea, something I thought I could never do. Now, as I break down the pieces one by one, I'm surprised at how, even if sometimes difficult, it's all very doable. It also amazes me to see it take shape - just a few short months ago, it was just an idea without a name. Now it's an actual thing with its own website, social media profiles and even a couple of followers! At the same time, it scares me - now I really have to follow through with it. There's no way back. And that's not enough: it has to be good. Thankfully, I have an amazing team, a computer that's still functioning (although this one may be calling it quits soon...getting old!) and many, many nights to be spent sitting in front of it. So wish me luck and above all, stay tuned! Congrats! That is so awesome! Can't wait to see it after launch. Can I ask if you are ever going to reply to those who applied to collaborate with you and never got an answer? I had to find out you already got the members of your team on twitter, it's not exactly professional. Since I took time to send you a cv I think it would be corteous to notify me if I haven't been picked. Hi Jean, I have replied to everyone who's sent me an application - I didn't specifically say no to anyone since I never know when I'll be needing more people! To the people that I felt weren't right for RIGHT NOW, I simply replied that I'll let them know more if and when something that suited their skills would come up. I don't think I received your application - I looked through both my emails now and I don't have an email from anyone called Jean. Try sending it again - nothing is set in stone and I'm always looking for more people on the team. At this point I guess it's pretty useless..If you open other positions in the future I'll make an attempt, thanks for clarifying the issue.